That’s the theme of the mural currently being painted in town down at the Sunken Park. 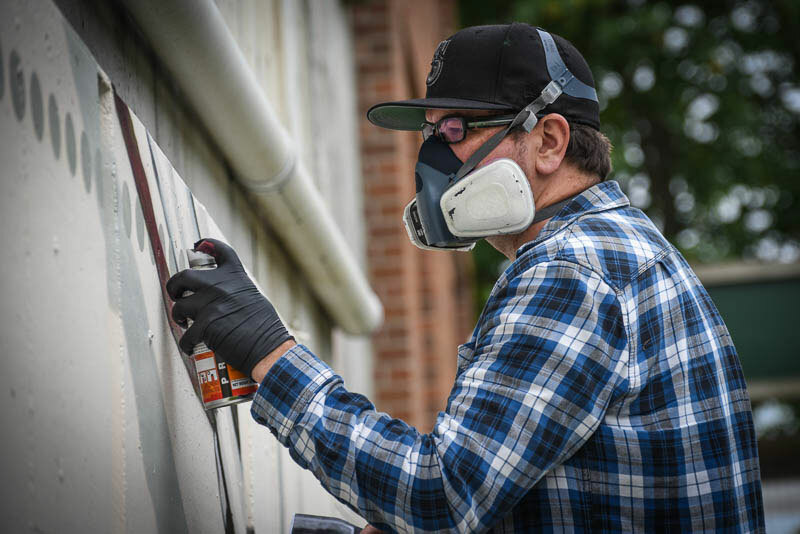 If you pop down there this week, you’re likely to run into Jake Wagoner, a Kirkland, WA mural artist who is busy painting away on this newest piece of public art in Friday Harbor. Jake started out painting as a kid and art for him has become much more important as he grew up. 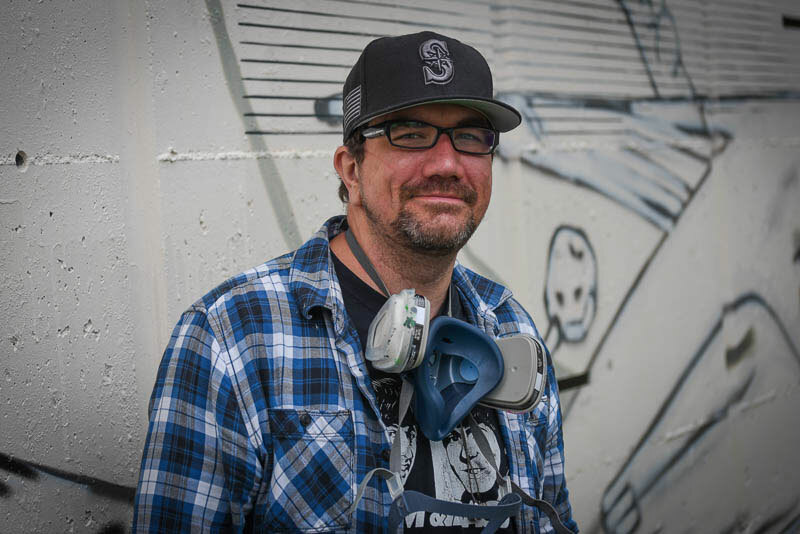 He has a strong graphic arts background and has been doing mural work professionally for about 5 years now, and he’s getting more and more busy as time goes by. 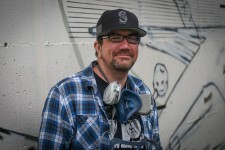 After this, he will return to Kirkland and go directly to meetings for 2 murals he’ll be doing next, and then later this summer, he’ll be doing a large project for the Issaquah Skate Park. He submitted 2 proposals to the Town for this mural, one that was more straightforward – a photo-realistic image of Lime Kiln Lighthouse, and this one that was ultimately chosen by the arts council and the Town that he calls “Witness the Beauty”. “I wanted it to be a reminder to viewers, and to myself, to always try to see the bright side of things” he says. The mural will be finished in time for this coming Sunday’s dedication at 2:00 pm, with a reading of Bill Weissinger’s winning poem “What You Don’t Want to Do…“. More info about the selection process at this previous post on SJ Update.